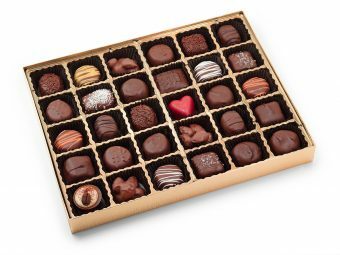 This box contains 15 milk salted caramels and 15 dark chocolate caramels. This box is a customer favorite. 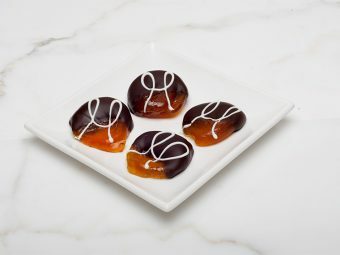 Dark and Milk Chocolate Salted Caramels. 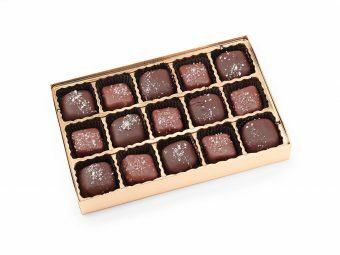 A perfect salty, sweet and rich combination, this box offers mouthwatering caramels enrobed in Belgian dark and milk chocolate and garnished with a touch of Fleur de Sel Sea Salt. Packaged in a gift box of 30. The perfect gift for the lover of dark and milk chocolate, sweet and salty!